People's Committee of south-central province announce The Regional Construction Planning of Binh Dinh Province by 2035. The Binh Dinh Provincial People’s Committee announced on April 8 that the province will have 22 urban areas by 2035, of which Quy Nhon city will be a national marine economic hub and economic development will be focused on services, seaports, industry, and tourism. “The Regional Construction Planning of Binh Dinh Province by 2035, which was recently approved by the Prime Minister, will create conditions for Binh Dinh to develop urban areas as well as its marine economy and service and tourism industries towards sustainable development in both urban and rural areas,” said Mr. Ho Quoc Dung, Chairman of the People’s Committee. The planning scope covers the entire province, which has a natural area of 6,050 sq km, including eleven administrative units in Quy Nhon city and An Nhon town and its nine districts. Binh Dinh is to become an important nucleus in the economy of the south-central region. The plan is also a basis for localities to prepare urban and rural construction planning, set up functional areas, and implement urban development programs. By 2035, Binh Dinh is to become an important transport hub of the south-central region and the gateway from the East Sea to the central highlands, southern Laos, north-eastern Cambodia, and Thailand. Eight new urban areas to be built include Cat Tien and Cat Khanh (Phu Cat district), Phuoc Hoa and Phuoc Loc (Tuy Phuoc district), An Hoa (An Lao district), My Thanh (Phu My district), An Tuong Tay (Hoai An district), and Canh Vinh (Van Canh district). The total population of the province is estimated to be 1.91 million people, of which some 930,000 will be urban residents, with an urbanization rate of more than 48.6 per cent. According to the plan, Binh Dinh province’s economic development zone is divided into two sub-regions. Sub-region No. 1 is an integrated economic development area with an area of about 364,000 ha and including Quy Nhon city, An Nhon town, and the districts of Tuy Phuoc, Van Canh, Phu Cat, Tay Son, and Vinh Thanh. Quy Nhon will be the political, economic, and cultural center of the province. The economic development orientation of Sub-region No.1 is industry, seaports, tourism, and logistics. Sub-region No. 2 is an economic development area with agriculture and high-tech processing, on an area of about 240,000 ha, including the districts of Hoai Nhon, Phu My, An Lao, and Hoai An, in which Hoai Nhon is the central urban area of the sub-region. The development orientation is to promote the development of the marine economy, agriculture, and eco-tourism. In terms of tourism development, Binh Dinh will have three major tourist clusters: the Quy Nhon tourism area and surrounding areas, including Quy Nhon city, An Nhon town, Tuy Phuoc, Van Canh, and Phu Cat districts. The cluster will focus on developing top-notch coastal and island tourism, spiritual tourism to ancient religious architectural relics and landscapes, scientific tourism associated with the Ghenh Rang scientific-educational complex, and ecotourism associated with Thi Nai Lagoon. Tay Son and the neighboring tourist cluster will feature tourist attractions in Tay Son and Vinh Thanh urban areas, with tourism products being historical and cultural sites, artistic events, festivals, and spiritual, education, and ecotourism sites. 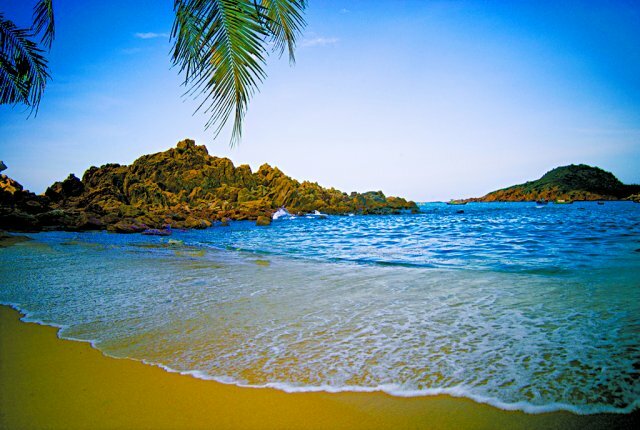 The Hoai Nhon tourism cluster and surrounding areas include tourism spots in the Hoai Nhon urban area and Phu My, Hoai An, and An Lao districts, with tourism products for relaxation, swimming, and visiting historical sites as well as sports, entertainment, adventure travel, and gastronomy. “In the coming time, the province will focus all resources to gradually implement this plan to develop Binh Dinh into a center of socioeconomic development, contributing to the development of the key central economic region as well as the whole country,” said Mr. Dung.